Over the last three or four months, I’ve been talking with an academic publisher – one of the big names that most people have heard of – who approached me to talk about launching a series in Digital Humanities. Now, Digital Humanities is quite fashionable at the moment, with many presses launching books and series about digital arts, culture, humanities and heritage, but goodness knows there is a need for a series that would publish only academic monographs in the area, rather than text books like this and this. I’ve been enjoying talking through the issues of publication with the press in question, and I asked Bethany Nowviskie to join me as co-editor, hoping to work together and thinking about how we could do something that suits our academic neck of the woods: offering good digital as well as print content, and tackling the open access monograph issue in as brave a way as possible, committing to delivering a high quality print publication that would also be available in open access too. Last week they emailed me with their new company policy on open access. They are fully committed to offering high quality open access versions of their high quality academic books. But to produce open access versions, authors would be required to pay £10,000 (with applicable taxes added on top) to cover the “number of costs” that are involved to “produce” these titles. I believe – at a time where rumours are flying that the next Research Excellent Framework will require all submissions to be available in open access, including monographs (although, please see later update at the end of the post about this) – that placing a £10,000 cost-to-publish fee onto monographs is iniquitous and will exclude many, if not most, early career scholars in the humanities from publishing their books in open access, as well as excluding any academic who is not at a very rich institution who has the resources to meet this publisher’s ransom demand. (There's an excellent blog post by Mercedes Bunz which demonstrates this very point). This will have deleterious effects on humanities academic career progression, as the monograph is still seen to be the proof of academic excellence (even if “just print” will no longer “count”.) I believe that this stance by publishers to place the costs of publishing open access monographs onto humanities academics (in particular) is perfidious, and the only way we can counteract it is to stop engaging with presses who behave in this manner, refusing to submit manuscripts to them, but also, refusing to peer review manuscripts for them, and refusing to edit manuscripts – or a series of manuscripts - for them. So I'm not going to edit their £10,000 pay-to-open-access-publish monograph series. And here is my reply to them. I’m not sure about the legalities of talking about this, so I have stripped out any identifying information regarding the individual publisher to safeguard myself. I would very much welcome your comments. Dear (doesn’t matter which particular publisher, this could be directed to the whole shower of those who are asking for £10,000 for pay to open access publish a humanities monograph). I understand that you are operating in a world where traditional publishing mechanisms and relationships have been turned on their heads. I understand that you have revenues to make to cover your costs, and profits to report to shareholders. I understand that, given a lot of authors from now on will have to provide open access versions of their research, you see this as an opportunity to further extend your profits. But I cannot understand the maths involved in calculating that it will cost £10,000 to turn a ready-for-print PDF proof into an ebook (seriously, I've been round the block a few times in book production, and that's some hourly rate those folks are charging you). You have looked at the £2,000 per academic journal paper model for open access in the sciences, and simply multiplied it and stuck it onto what you think is an humanities equivalent: a monograph equals about five journal papers, right? It would be more honest for you to say: we are charging £10,000 to offset the open access copy against loss of potential revenue for book sales. I understand that this is a concern for you, of course I do, and it would be better to say this up front. But even with this concern, I do not see that humanities authors are the people you should be targeting to make a profit. The £10,000 cost for open access is not a commitment to open access at all. It is is a shield behind which you can keep open access away from those who might harm your profit margin. But think of the poor humanities academic who *has* to publish their work in open access. What are they going to do? Turn to their institution? Only the best ranked institutions in the world will be able to cover their costs: are you seriously saying that only those in the top universities worldwide are welcome to publish open access with you? Even within those institutions, only the top ranked individuals with prior grant income would have such a request entertained: here's a secret which you probably haven't figured out: most humanities faculties aren't rolling in money. So should aspiring book writers get the £10k from grant income? But you are applying a model from the sciences that doesnt apply to the humanities: in the UK the average Russell Group humanities academic brings around your cost for open access in grant income a year, and funding councils who have had their own incomes slashed cannot expect to prop up the publishing industry. Some have suggested that the £10,000 is seen as an "investment in self" where individuals would seriously pony up the £10,000 from their own meagre funds (read: credit cards), in the hope that they would recoup this through promotion, tenure, etc. Its a huge gamble to take, at a time when many - including most early career scholars - are exhausted from carrying the student debt albatross round their necks. As a result, the numbers publishing open access with you will be few and far between. With your "commitment" to open access, you will still be able to publish print editions for those who do not care about securing an open access copy. There's your open access commitment right there - you are more likely to never, ever have to publish an open access volume, even though you have a "policy", as it is just not achievable for all but the independently wealthy. And academic success for all just moves that step further away again. Hurrah for building the pristine ring-fenced arena that no-one can ever use, unless they bring their own polo horse! *snort*. It's just odious. I know that my list of suggestions for pursuing an open access monograph series in Digital Humanities were not usual (just to recap, I asked for: the print book for sale, with full contents available for free in an open access digital version, with a creative commons license to be agreed with each individual author (some of them might allow commercial reuse, such as CC-BY, some of them might be more conservative going for ND). This would be Diamond Open Access -so full peer review process, item available free in digital form, but no "author pays" model, and the resulting book should be published in various ebook formats, with no digital rights management (DRM). The author should retain copyright. Ideas for offsetting costs and potential lost revenue include lowering the level of royalty payments, or increasing the point at which the publication will start to recoup costs, depending on a realistic cost model, which we could help work out.) I'll also point out that I have never once asked for payment in any of this (and just for math's sake: what proportion of that £10,000 per open access book will go to the series editors? Oh that's right, none). So you expect to use my contacts, and to use my time, and for me to help feed into a exclusionary model that keeps your wheels turning, that takes money from institutions, or grants, or individuals, and to do that for you without even listening to anything I have been saying about the need for open access in the humanities, particularly within our community, or what we can do to fix – or at least experiment with - the existing model to be in everyone's favour? The open access agenda is a huge issue in Digital Humanities. It is at the heart of the discipline: doing things in the open, experimenting, being the voice for the humanities in the digital age, showing people how it is done. Digital Humanities is big business at the moment, as can be witnessed by the explosion of Digital Humanities titles published in the past year alone (which is why you are talking to me, after all). Goodness knows we need more research monographs to come out that give people the space to seriously consider and present their research ideas amongst all these textbooks. But this can only be done by operating within the research modes of the community. We could have committed to doing a trial of, say, 5 or 10 books that would be printed with diamond open access too, and being absolutely open and honest about the costs and the revenues and the potential losses and gains, and really led the way in a discussion about where open access monograph publishing goes, and what works, and what doesnt, and what the realistic costs of producing open access research to a high standard is. We would have been famous, we would have sold books, we would have attracted the best and brightest minds with the most brilliant texts, no matter what their bank balance was. As it is, your £10,000 (plus taxes) seems entirely one-size-only-fits-you, jumping on the bandwagon of a scared publishing industry whose fear is contagious, copying an approach which doesnt work for anyone, but allows you to have a policy that will never actually have to be exercised. I'm sad, as I see this as a missed opportunity for us to work together. I am at a stage in my career where I do not have to take on anything that I do not want to do, or do not agree with. I am at a stage in my career where I should be sticking up for what I think is right, and also looking out for early careers scholars coming up behind me. I am uncomfortable in putting my name to a Digital Humanities series that touts a £10,000 pay to publish open access policy as fair or egalitarian. I'm not going to edit your £10,000 pay-to-open-access-publish monograph series. I doubt that any leading figure in our field would, but I wish you well in finding the person to take this book series forward. I hope your book series in Digital Humanities is a success, I really do. Its been a pleasure scoping out what a book series could have looked like, especially with the challenges that face us in the digital environment. But I am left frustrated that we could have done so much together. Please do get in touch in the future, when this £10,000 open access model doesn't work for you, when you may like to - or have to - be braver. to be achievable in the long term". Obviously, if I had been able to find this (rather than the rumours) this would have tempered a couple of sentences in my blog post above, but only a couple, so I'm not going to retool it. The fact remains that open access monographs are on the horizon, and that publishers are attempting to profiteer from this without any adequate costing model as to how to achieve them. I'm not happy about being any part of that, and will not give up my time, advice, and hard work to support a model which excludes many from taking part in making their work available via open access. 15th October 2013 is Ada Lovelace Day – the annual celebration of women in science, technology, engineering and maths, named after Ada Lovelace, the first computer programmer. Working with Charles Babbage in 1840, Lovelace understood the significance of his Analytical Engine (a machine that can conduct a number of different functions, such as addition, subtraction, multiplication and division) and its implications for computational method. 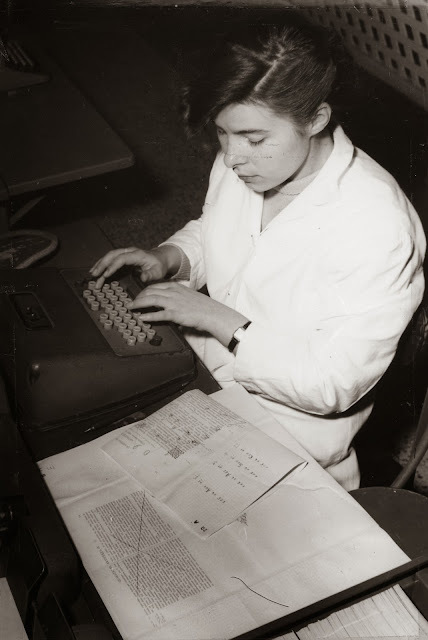 She saw that via the punched card input device the Analytical Engine opened up a whole new opportunity for designing machines that could manipulate symbols rather than just numbers. Lovelace attempted to draw together romanticism and rationality to create a ‘poetical science’ that allowed mathematics and computing to explore the world around us, recognizing the potential for a move away from pure calculation to computation, and possessing a vision that foretold how computing could be used in creative areas such as music and literature. 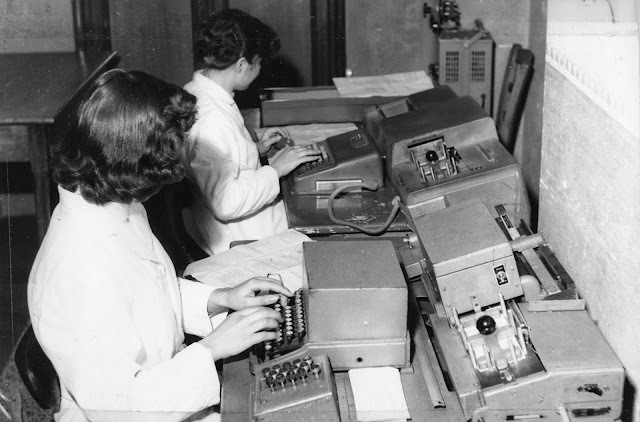 It seems apposite on Ada Lovelace day to look at some female punchcard operators from the very first days of available electronic computation, working on one of the first "poetical science" projects in "Humanities Computing". From 1949, an Italian Jesuit priest called Father Roberto Busa (November 13, 1913 – August 9, 2011) pioneered the use of computing for linguistic and literary analysis, teaming up with IBM to produce an index of the works of St Thomas Aquinas. Thomas Aquinas wrote some 9 million words of medieval Latin, and so Busa’s project to index his works via computational methods took over 30 years, being one of the earliest and most ambitious projects in the field which is now called Digital Humanities. Once, I was told by father Busa that he was used to choose young women for punching cards on purpose, because they were more careful than men. Further, he chose women who did not know Latin, because the quality of their work was higher than that of those who knew it (the latter felt more secure while typing the texts of Thomas Aquinas and, so, less careful). 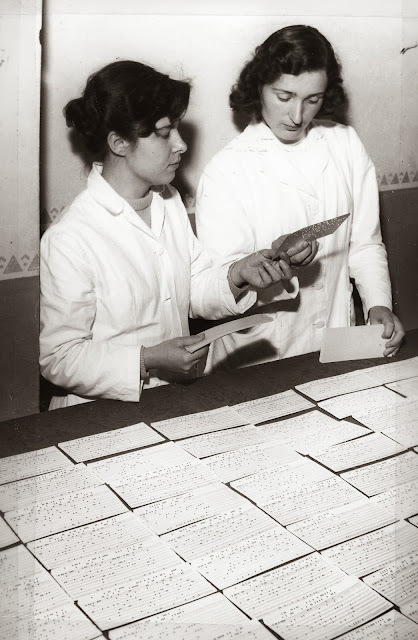 These women were working on the Index Thomisticus, punching the texts on cards provided by IBM. 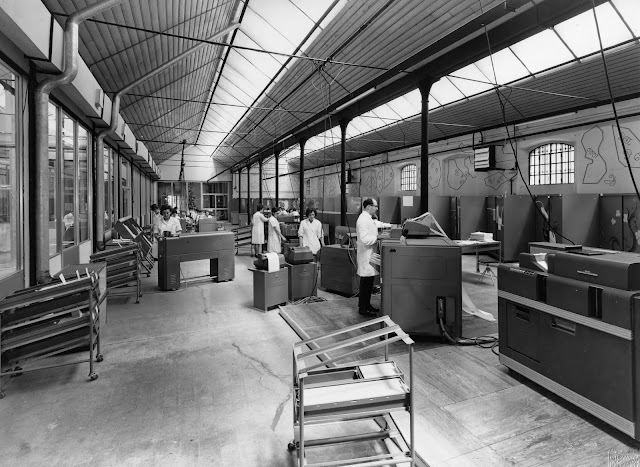 Busa had created a kind of "school for punching cards" in Gallarate. That work experience gave these women a professionally transferable and documented skill attested to by Father Busa himself. Update! (23/1013): We now know the name of the woman top left: Livia Canestraro. She also appears in many of the pictures below. Livia Canestraro, above and below. Update! 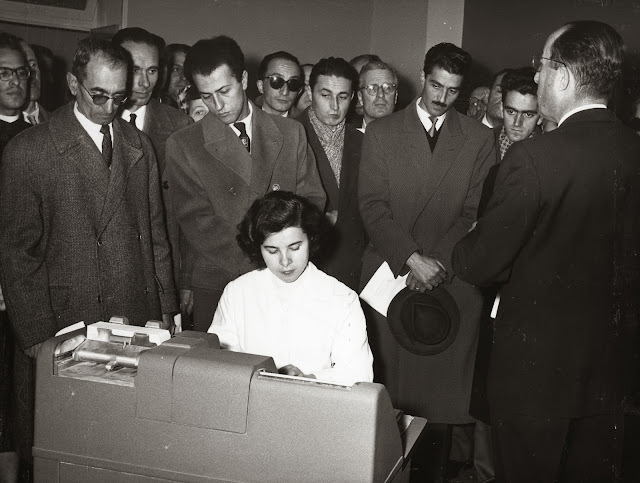 (23/1013): We now know the name of the woman back left: Rosetta Rossi Bertolli. Livia Canestraro is bottom right, and below. Update! (23/1013): We now know the name of the woman second from the left: Gisa Crosta. These previously unpublished images come from the archive of Father Busa and date from the late 1950s and early 1960s. 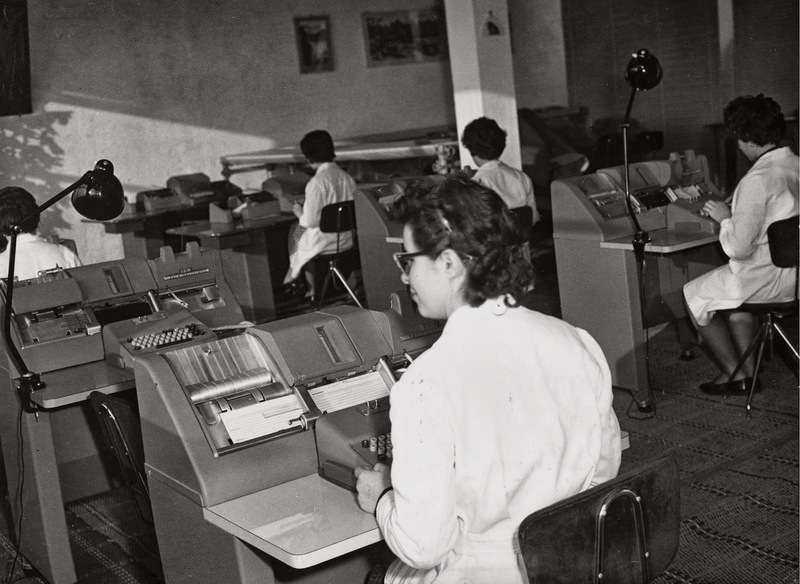 Taken in Gallarate, Italy, they show the ranks of women involved in encoding and checking the punchcard content of Thomas Aquinas’ works. 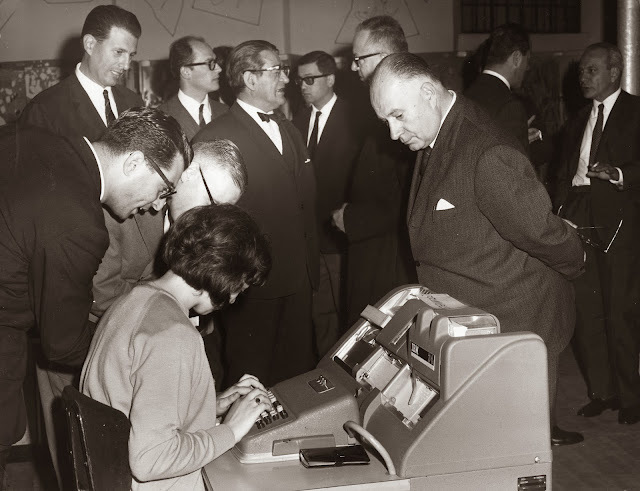 The women can also be seen demonstrating the technologies to visiting dignitaries, and overseeing the loading of the punchcards into the mainframe. We don’t know the names of these women: further research and enquiries are ongoing to try to establish their identities, and their role in the project. 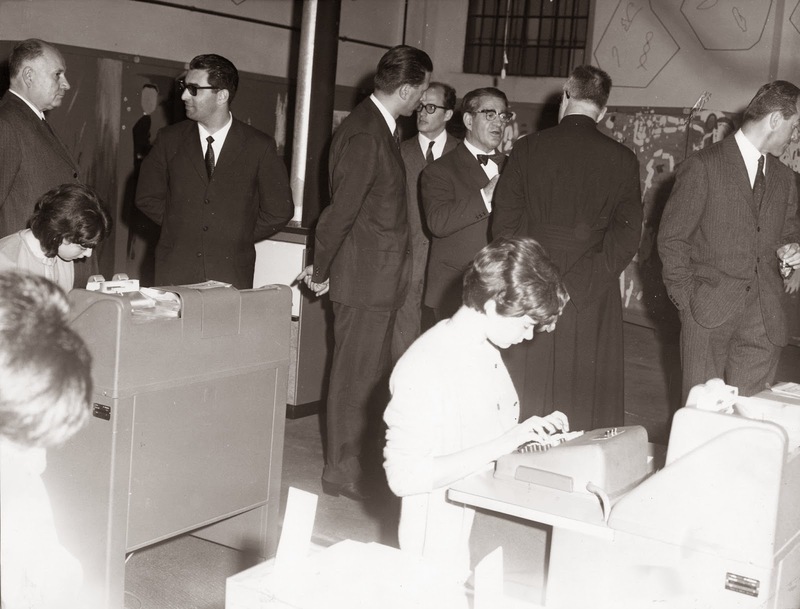 However, it shouldn’t be that surprising to us that women were so important in Father Busa’s pioneering computing project: in the early 1960s computer programmers were commonly women. It’s pleasing to show on Ada Lovelace Day how important women were to one of the first projects in my academic field - look at the scale of the operation! - although further research is needed to uncover the role and responsibilities of women in this project: the majority of them seen here are doing data entry, albeit in a skilled and new format. The project certainly could not have happened without their input. The images shown here are kindly made available under a Creative Commons CC-BY-NC license by permission of CIRCSE Research Centre, Università Cattolica del Sacro Cuore, Milan, Italy. For further information, or to request permission for reuse, please contact Marco Passarotti, on marco.passarotti AT unicatt.it, or by post: Largo Gemelli 1, 20123 Milan, Italy. This year is the 100th anniversary of the birth of Father Busa, which will be celebrated with a workshop in Sofia on the Annotation of Corpora for Research in the Humanities. Digital Humanities in works of literature? Martin shook his head... "I used to work at the British Museum, translating ancient and classical languages. But now I work from home". "Perhaps we ought to make another sign to post at the gate," said James. "All uncertain grave owners please present yourselves during office hours when the staff can attend to your very time-consuming requests". "We want to help them," said Jessica. "But they must call ahead. These people who pitch up on the cemetery's doorstep wanting us to do a grave search while they wait - it's beyond anything." 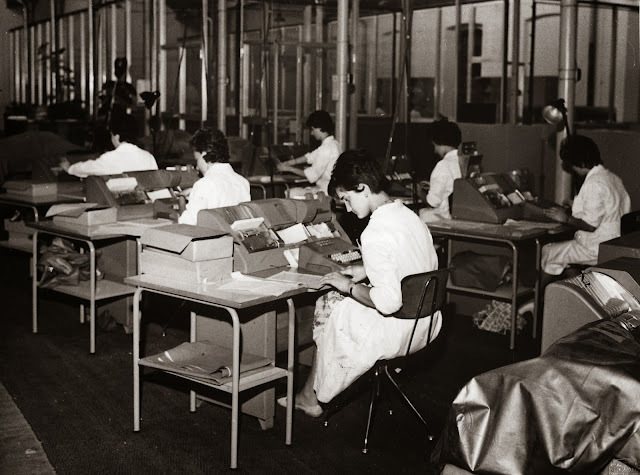 "They think the records are digitised," Robert said. Jessica laughed. "Ten years from now, perhaps. Evelyn and Paul are typing in the burial records as fast as their fingers can fly, but with one hundred and sixty-nine thousand entries -"
Its not the first time I've seen digital humanities/ digitisation creep into fiction - I remember some ludicrous database in Dan Brown's Da Vinci Code* - but it did make me think, people are starting to notice the kind of things we've been working on for (in my case) over a decade. It's great to see something that so relates to my doctoral work and published texts pop up in a work of fiction. Heck, the people at US immigration who ask you what you do when you say you are going to a conference might even understand what "Digital Humanities" means next! Maybe not. * I dont have a copy of the Da Vinci Code, but the internet has provided an illegal online version, I copy the scene here. First one to send me a cease and desist and ask me to take it down wins. She glanced at her guests. "What is this? Some kind of Harvard scavenger hunt?" Langdon's laugh sounded forced. "Yeah, something like that." Gettum paused, feeling she was not getting the whole story. Nonetheless, she felt intrigued and found herself pondering the verse carefully. "According to this rhyme, a knight did something that incurred displeasure with God, and yet a Pope was kind enough to bury him in London." Langdon nodded. "Does it ring any bells?" Gettum moved toward one of the workstations. "Not offhand, but let's see what we can pull up in the database." Over the past two decades, King's College Research Institute in Systematic Theology had used optical character recognition software in unison with linguistic translation devices to digitize and catalog an enormous collection of texts – encyclopedias of religion, religious biographies, sacred scriptures in dozens of languages, histories, Vatican letters, diaries of clerics, anything at all that qualified as writings on human spirituality. Because the massive collection was now in the form of bits and bytes rather than physical pages, the data was infinitely more accessible. 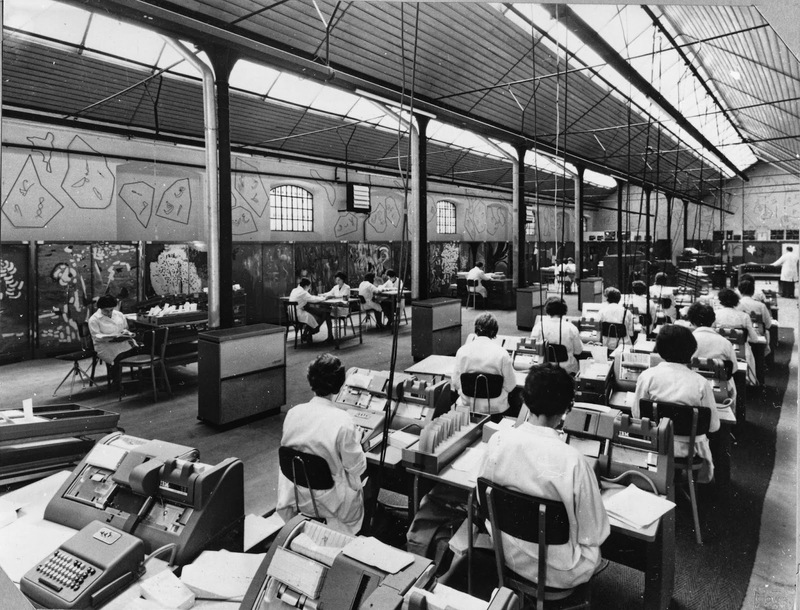 Settling into one of the workstations, Gettum eyed the slip of paper and began typing. "To begin, we'll run a straight Boolean with a few obvious keywords and see what happens." As she clicked the SEARCH button, she could feel the hum of the massive mainframe downstairs scanning data at a rate of 500 MB/sec. "I'm asking the system to show us any documents whose complete text contains all three of these keywords. We'll get more hits than we want, but it's a good place to start." The screen was already showing the first of the hits now. Painting the Pope. The Collected Portraits of Sir Joshua Reynolds. London University Press. Gettum shook her head. "Obviously not what you're looking for." She scrolled to the next hit. The London Writings of Alexander Pope by G. Wilson Knight. As the system churned on, the hits came up more quickly than usual. Dozens of texts appeared, many of them referencing the eighteenth-century British writer Alexander Pope, whose counter religious, mock-epic poetry apparently contained plenty of references to knights and London. Gettum shot a quick glance to the numeric field at the bottom of the screen. 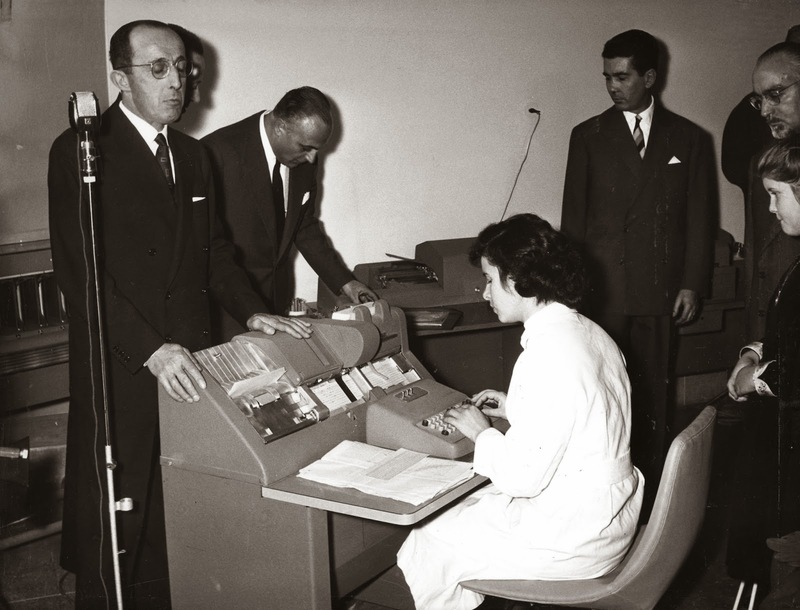 This computer, by calculating the current number of hits and multiplying by the percentage of the database left to search, provided a rough guess of how much information would be found. This particular search looked like it was going to return an obscenely large amount of data. "We need to refine the parameters further," Gettum said, stopping the search. "Is this all the information you have regarding the tomb? There's nothing else to go on?" Langdon glanced at Sophie Neveu, looking uncertain. This is no scavenger hunt, Gettum sensed. She had heard the whisperings of Robert Langdon's experience in Rome last year. This American had been granted access to the most secure library on earth – the Vatican Secret Archives. She wondered what kinds of secrets Langdon might have learned inside and if his current desperate hunt for a mysterious London tomb might relate to information he had gained within the Vatican. Gettum had been a librarian long enough to know the most common reason people came to London to look for knights. The Grail. Gettum smiled and adjusted her glasses. "You are friends with Leigh Teabing, you are in England, and you are looking for a knight." She folded her hands. "I can only assume you are on a Grail quest." Langdon and Sophie exchanged startled looks. Gettum laughed. "My friends, this library is a base camp for Grail seekers. Leigh Teabing among them. I wish I had a shilling for every time I'd run searches for the Rose, Mary Magdalene, Sangreal, Merovingian, Priory of Sion, et cetera, et cetera. Everyone loves a conspiracy." She took off her glasses and eyed them. "I need more information." In the silence, Gettum sensed her guests' desire for discretion was quickly being outweighed by their eagerness for a fast result. "Here," Sophie Neveu blurted. "This is everything we know." Borrowing a pen from Langdon, she wrote two more lines on the slip of paper and handed it to Gettum. You seek the orb that ought be on his tomb. It speaks of Rosy flesh and seeded womb. Gettum gave an inward smile. The Grail indeed, she thought, noting the references to the Rose and her seeded womb. "I can help you," she said, looking up from the slip of paper. "Might I ask where this verse came from? And why you are seeking an orb?" "You might ask," Langdon said, with a friendly smile," but it's a long story and we have very little time." "Sounds like a polite way of saying “mind your own business.”"
"We would be forever in your debt, Pamela," Langdon said, "if you could find out who this knight is and where he is buried." "Very well," Gettum said, typing again. "I'll play along. If this is a Grail-related issue, we should cross-reference against Grail keywords. I'll add a proximity parameter and remove the title weighting. That will limit our hits only to those instances of textual keywords that occur near aGrail-related word." "How long will this take?" Sophie asked. "A few hundred terabytes with multiple cross-referencing fields?" Gettum's eyes glimmered as she clicked the SEARCH key. "A mere fifteen minutes." Langdon and Sophie said nothing, but Gettum sensed this sounded like an eternity to them. "Tea?" Gettum asked, standing and walking toward the pot she had made earlier. "Leigh always loves my tea." 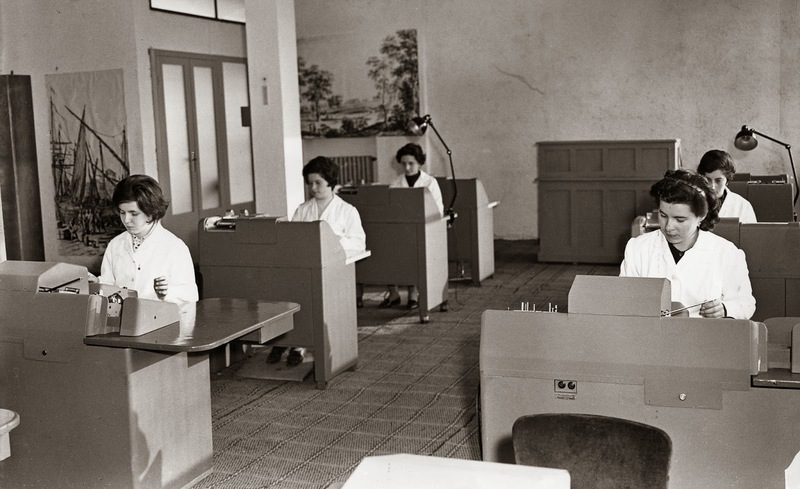 There has been a lot of talk recently about how my field – Digital Humanities – has to change. We are too insular. We’re excluding those who want to partake in it. The structures that have been built within the discipline preclude the type and means of research which we claim to do. Issues of gender, race, ethnicity, and class raise their heads. There are a few online resources that exist which sum up these feelings: see “Toward an Open DigitalHumanities” google discussion document and, more recently, the Open Thread on “The Digital Humanities as a Historical“Refuge” from Race/Class/Gender/Sexuality/Disability?” over at Postcolonial Digital Humanities. I’m not denying that there are issues in Digital Humanities. One need only look at the recently published program for DH2013 and cast your eye over the authorship of the accepted papers to see that this year’s Digital Humanities presenting cohort is around 65% male, 35% female. But what I would say, speaking on a personal level and not representing any authority here, is an obvious point which I don’t hear often voiced. Most people “within” Digital Humanities – that is those within the ADHO committee structures, those helping to run the conferences, those helping to allocate student bursaries and prizes, those helping to review papers and manuscripts, and heck, even the cool kids on twitter, are people who want Digital Humanities to be as open and as great as possible. This whole field has been built on the hard work of many academics who have given up their free time to try and entrench the use of computing in humanistic study into an academic field of enquiry, and it wouldn't exist without them, even if the form it exists in is currently imperfect. I would say, from where I sit on various committees, that people want to keep DH growing, and growing healthily. So if there are things wrong with DH, then do give concrete examples, or propose concrete solutions, so they can be taken forward. They're listening - we're listening. Women are secondary in the TEI rules no more! Hurrah! – and all it needed for that to happen was for someone to raise the issue in the correct forum, and explain the issue to those who did not understand it, until they finally did. "Keynote speakers are decided by the International Program Committee in consultation with the Local Organiser, and should ideally represent a range of complementary disciplines, interests, and geography, with consideration given to issues of gender equality, and economic, ethnic, cultural, and linguistic diversity." Perhaps a small deal, focussing on the choice of a couple of speakers a year at our international conference, but pointing to the fact that the ADHO constitution needs to be looked over, to see where we can enshrine issues of gender equality, and other issues of diversity, within our communities. We need to make the rules that people have to abide by. We can make the rules, and we can change the rules. What rules would there help to be? Of course, changing rules and guidelines wont make everything change overnight, and I wouldnt like to naively claim they will solve everything, but they are a start. I guess what I’m saying here is that, in general, folks “within” Digital Humanities are doing their best, and open to discussion and improvement, and are not willfully obstructive to those of a different gender, race, or economic class, etc. Criticism is helpful, and if there are things that need changing, or unconscious biases that need rectifying, then point them out, tell us. Tell us where concrete things are that we can act upon. We all want Digital Humanities to be the best it possibly can be, and I, for one, don’t mind changing the rules from the inside, in the time that I remain there. 28/05/13 Addendum to the original post: for an ADHO led initiative on diversity see GO::DH. I'd also like to encourage anyone who is interested in discussing change to consider standing for election to one of the ADHO organisations - we always need volunteers who want to roll up their sleeves! I am @melissaterras. I have just shy of 4500 followers on twitter, a blog which garnered 100,000 readers last year, and a current Klout score of 64. I tend to take this kind of thing with a grain of salt: I hang out on social media because I enjoy it and it has also proved useful and beneficial to my career. I’m aware I’m not Justin Bieber and that my stats – while above average - are not particularly big shakes. But over the past few weeks a few things have happened which have made me think about digital identity, responsibility, and where academic use of social media crosses into the “real life” arena. Case 1. I travel a lot with work, usually using Opodo to book tickets. A few weeks ago I found myself locked out of “My Opodo” and couldn’t access it to check itineraries, tickets, or print boarding passes, etc. I tried getting in touch with customer services, spending hours on the phone, emailing, tweeting and asking for help. Nothing. With an upcoming trip, and growing frustration (spending an hour on hold to Opodo is never in the plan of my day) I posted a few disgruntled tweets about their shocking customer service, which, retweeted by some followers, had the potential to reach over 10,000 users within a matter of minutes. My mobile rang. Opodo – a firm reknowned for not answering customer complaints in a timely fashion- had phoned me to help resolve the problem. I’ve seen it reported that Klout scores andtwitter follower counts are now being paid attention by customer services, but while I can provide various concrete examples of why having a digital profile has helped my academic career, this is the first time I can point to something which has actually helped resolve an issue I have had with a commercial entity. I’m simultaneously aghast that it would take an above average twitter following to help you get on a departing flight, and relieved that it helped me to get an increasing pressing travel issue sorted out. What about those not-so-valued customers that didn’t manage to get the issue resolved in time? Case 2 is where I now am aware that writing something online could cost a local business tens of thousands of pounds in business. I’m not happy with the project management company who looked after a build at our home, as the ceiling is now leaking, and they are ignoring any enquiries we are making to help have this sorted. It would be easy for me to name them here, linking to their website, and within a couple of days if you googled for them my blog post would appear above their own website in the rankings, due to the fact that my blog is tapped into more existing networks than theirs. It would seem that, at the moment, the easiest tool at my disposal to use is my digital identity. Indeed, it is probably the only leverage I have to stop the growing discolouration of our new dining room ceiling. But that makes me uneasy, as I know how difficult it would be for them to claw back in a negative customer comment once it has been broadcast online, and we are happy in general with our build and are sure this is a minor issue to resolve. Should I be throwing my klout around, if it will negatively affect others in the long term? I’m left thinking of the increasingly intertwined nature of customer service, digital presence, and moral responsibility. Whilst I was playing at this, this stuff got real. Williams, S and Terras, M and Warwick, C (2013) "What people study when they study Twitter: Classifying Twitter related academic papers". Journal of Documentation , 69 (3). Free PDF Download From UCL repository. In this paper, we identify the 1161 academic papers that were published about Twitter between 2007 (when the first papers on Twitter appeared) and the close of 2011. We then analyse method, subject, and approach, to show what people are doing (or have been publishing!) on the use of Twitter in academic studies, providing a framework within which researchers studying the development and use of twitter as a source of data will be able to position their work. Oh, we also provide the list of the papers we found, so you can have a look-see yourself. And the story behind this one? Shirley was introduced to Claire and myself by the late (and much missed) Prof. Mark Baker at Reading, when we undertook the Linksphere project. Now, I've written about Linksphere elsewhere - it was an ambitious project which really didnt take off due to a variety of factors - but the good things to come out of it were our RA, Claire Ross, and meeting Shirley. We published a paper on the use of twitter by academics at conferences when the Linksphere project was going. A year or so after the project finished, Shirley was granted a research sabbatical, and asked Claire and I if we would be interested in carrying on that work with her. Kicking around a few ideas, we wondered whether it would be possible to round up all the published work on Twitter - what are people using it for? And then to analyse it, to see if we can classify how people are using it, what the datasets are, what the methods are, and what the domains are. Wouldnt it be nice to have a bibliography on the use of twitter in research papers? And so away Shirley went, working with Claire and I, and building up this nice framework in which we can look at twitter based research. The paper was accepted into the Journal of Documentation last summer, and this month went up in preprint at the Journal of Documentation website, and is now out in Open Access from UCL's research repository, before it even hits the Library shelves. Which is how it should be, non? We’re going into our fourth year at UCL Centre for Digital Humanities, and there have been quite a few changes along the way. 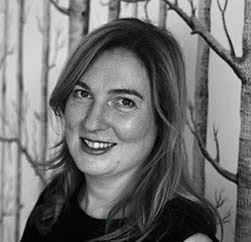 Since the centre was founded under the direction of Professor Claire Warwick, Claire has also taken on Head of Department in UCL Department of Information Studies, as well as Vice Dean of Research for the Arts and Humanities faculty. Over the past year, Claire and I have been co-directing the centre. I’m pleased, proud, and a little bit nervous to say that from now on I’ll be taking on full operational duties as Director of UCLDH, still working closely with Claire, who remains committed to Digital Humanities as a subject, and UCLDH in particular. I’d like to take this opportunity to thank Claire for her continued input into UCLDH – and I look forward to working with her in this slightly different capacity over the next few years, as well as the rest of the team at UCLDH, and putting my efforts into building up UCLDH even further after its great start. How Many Digital Humanists does it take to change a lightbulb? Q. How many Digital Humanists does it take to change a lightbulb? A. Two: The first to change the lightbulb using the available, existing technology. The second to say “You’re not DH unless you make the lightbulb yourself!”. A. One. But they have to have a PhD in Byzantine Sigillography AND at least 4 years experience of XSLT before you are going to let them near that bad boy. A. As many as you like, but no REAL humanities academic is going to trust that lightsource. A. It depends. Does the lightbulb count as a “scholarly primitive”? A. One. But only if they are allowed to include “multimedia experience” in their tenure portfolio. A. These are such IN JOKES only the COOL KIDS on twitter will get them. Pout. (This is the blog post I've put up on the Day of DH site - where Digital Humanists all over the world are telling people what they are up to on a specific day. Me, I'm working hard in a different way, on holiday). This Day of DH sees me not doing much DH at all… but yet. I’m on holiday, on the second week of the school easter break, with my three young boys, in Scotland, staying with family. I wasn’t going to blog anything at all – but then, hey, this is part of my life as a DHer too, right? Its not just about the work, its about what you do elsewhere? But can you actually switch off from DH, from work, when you are away?– at least, it seems not that way if you are an academic. So what did we get up to today? Not a bad night, up only three times (two night terrors and one sea shanty) and then woken early to a boy shouting “Mummy! Robot! Monkey!” repeatedly. A slow walk to the shop for papers and sweeties, some playing with watering cans, a trip to a garden centre to meet an old friend and her kid for coffee, a visit from my Aunt. The endless cleaning and tidying and management of stuff which comes with having three small people, roll calls to ensure people have their shoes and their stuffed animals from one stop to the next. Highlights included driving alongside a wind farm for a mile or so and the boys shouting “BIG. WINDMILLS! BIG. WINDMILLS!” – lowlights include turning my back for two minutes and seeing Twin Two up 8 feet in the air on something he shouldn’t be climbing on in the garden centre – tuts from other parents in the vicinity very forthcoming. Its not like I haven’t thought about work. I find it very difficult to switch off when on holiday – it takes me about a week to stop sending myself emails reminding me to do X, Y, and Z when I get back. I’m on the twitters – I find hanging out on twitter gets me through the day when looking after the three weans all day and all night, especially if they are up through the night – and today of all days, it was fascinating to see twitter erupt and turn and shift around a news item. The asynchronous nature suits having a quick shufty at quiet moments – seconds – in the parenting day. But I haven’t been on work email for a week or so, and wont be for another week or so. Usually I’m glued to it, answering emails at all times of the day, but its important for me to step back from it a few times a year. I popped on there a couple of days ago to action something time-limited and laughed at all the emails that had come in setting me deadlines I hadn’t agreed to that I will miss in my absence. Meh – I’m usually quick on the mark but this week? I’m teaching my twins how to do forward rolls instead. As I do more and more managerial work in my role at UCL Centre for Digital Humanities I wonder really how much of my interaction with computing is through email. (Most of it now). I’m a professional email answerer, really. Been a while since I implemented something myself. I wonder, amidst all the arguments about should DHers code, etc, how the whole “can code, but manages coders” fits in. But this week, I’m not even answering email. Oh no. I’m on holiday. I’m away. And goodness, it is good to step away from email, that harsh, thankless taskmistress. But if I’m not on email…. I am a DHer any more? But its not like I haven’t thought about work. It’s the blessing/curse of academia: obsessive compulsive behavior is rewarded, and its hard to switch off the obsession. So in the past week or so I’ve been ruminating on next steps, projects I’m undertaking, research I should do next, blog posts that are brewing, in between having cups of tea at my grandparents or visiting my cousins or dandling poorly boys at 3am. Everything you can do when you are not on email. The nice stuff online and offline, without the work email. It’s not that I haven’t thought about work. Heck, I even blogged for the Day of DH. An example of the blended life style us DHers live: how hard it is to get away, even when you are away, how connected we all are, how it’s all a balancing act. So I’m not sure that this is a blog post. I’m not sure that this is a holiday. I don’t know what it is… must be DH, then.